"Your service is amazing and we will definitely recommend you to others." 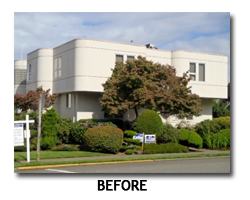 Sound Exterior is a building envelope inspection company specializing in the inspection of stucco and EIFS (Exterior Insulating Finish System) claddings. We provide residential, commercial and third party inspections as well as consulting services to homeowners, building owners and contractors. 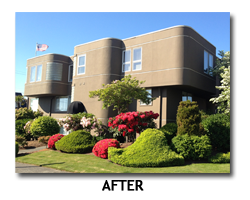 We strive to be the most comprehensive building envelope inspection company in the Pacific Northwest, as well as nationwide, providing our customers with inspections performed by a certified inspector with over 25 years of experience in the plaster industry. We take great pride in providing our clients with a professional inspection report documenting the inspection process that walks our client around the exterior of the dwelling or building documenting the condition of the exterior cladding and its components. Seattle, Redmond, Bellevue, Sammamish, Issaquah, Renton, Kent, Auburn, Burien, Des Moines, Federal Way, Tacoma, Gig Harbor, Olympia, Vashon, Woodinville, Woodway, Mukilteo, Everett, Bellingham, Spokane, Portland, and Couer d' Alene. We also serve clients in California and Alaska!